Every girl who cares at all about her wardrobe wants a fancy closet to put it in. With a little imagination, perhaps you can design that closet! There are so many options to build walk-in closets these days. With a little planning, you can build a really great closet to house your fabulous wardrobe! Walk-in closets have always been a symbol of luxury, but the days when a walk-in closet exclusively belonged in a mansion are over. I have some of the most functional and beautiful walk in closet ideas to help you create an impeccable, organized dressing area. 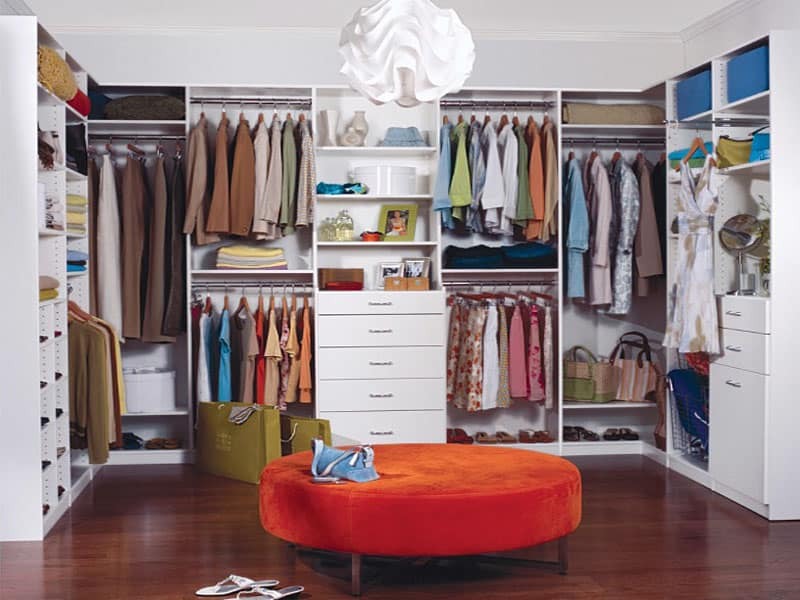 Review walk-in closet ideas and decide on a style for your closet. Contemporary styling is the best for a clean, uncluttered space to display your clothes beautifully. Having a definite style in mind will keep the walk-in closet looking cohesive. No other color in the palette creates a better backdrop in your walk-in closet for your clothes to shine. White is high-contrast, bright in what is normally a dark room and always looks crisp and new. 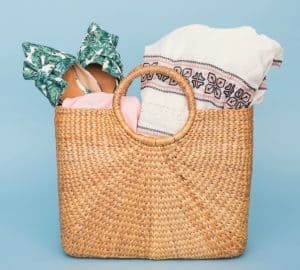 If you have the luxury of space, a dressing item is the perfect spot to drop all your things until you use them again. Islands come in a variety of shapes and sizes. Be sure to select one with plenty of storage drawers and shelves to maximize storage. Add trays or boxes to your island top to catch smaller items like jewelry, pocket change and keys. 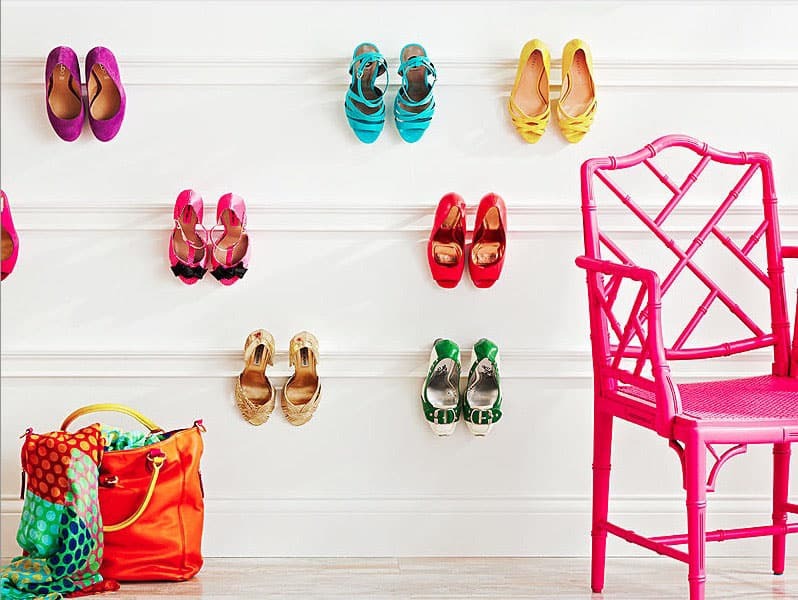 Create a beautiful and unique closet space by using innovative displays, like the shoe wall below. Take inspiration from the hottest fashion boutiques to display your fashion objects. Use items such as mannequins, retail jewelry displays, and open bookcases to show off your wardrobe. For your walk-in closet to be truly functional and a space you want to enjoy, you’ll need seating. An ottoman is the perfect solution. You can lay outfits on the ottoman or sit on it while putting on your shoes. For additional storage, try a storage ottoman that opens up. Depending on your closet shape, round ottomans work better in large, open closets while narrow benches work best in straight, single-aisle closets. You can never have too many mirrors in your walk-in closet. If you are space and wall-challenged, consider upgrading your closet doors to mirrored. 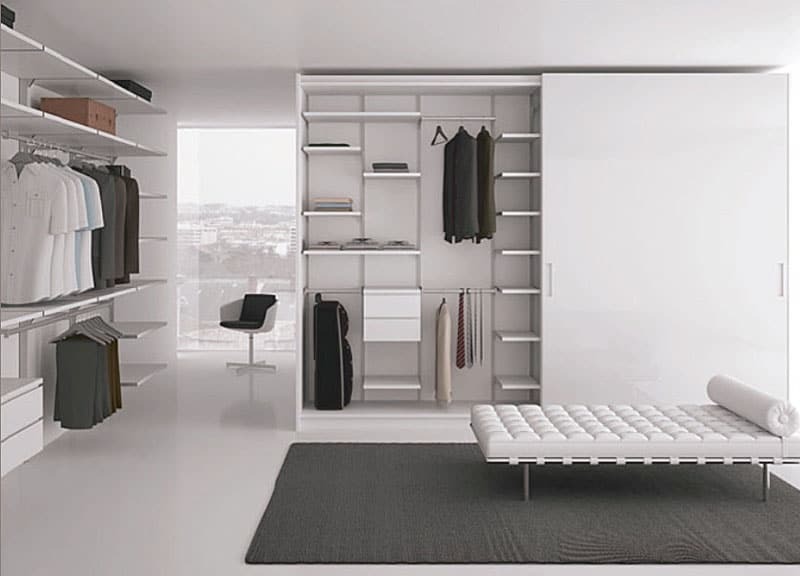 The multi-function doors will keep items organized while reflecting light and other parts of your closet, making your dressing area feel larger. Set the mood with lighting in a myriad of ways. Play with the lighting in your walk-in closet until you get it just perfect for you. If you have a window, experiment with window treatments that cast a variety of different lighting during the day. 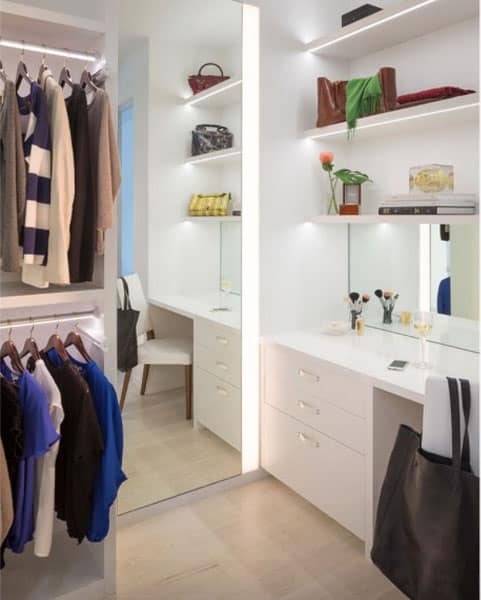 If your closet is windowless, experiment with various lighting fixtures until you’ve reach the right mood. Make the most of your walk-in closet by installing a functional library ladder. The ladder allows for easy access to items stored up high while adding a funky effect to your closet. The best part is that your ladder can be part of your display, where you can hang next day’s outfit or a couple of scarves until you need to use it. BETH YES! im about to get my dream closet ( at least the size ) in the new house were building but have no idea how to design it- eek! 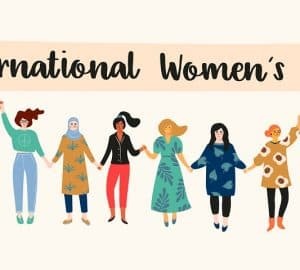 cant wait to share some of your ideas! 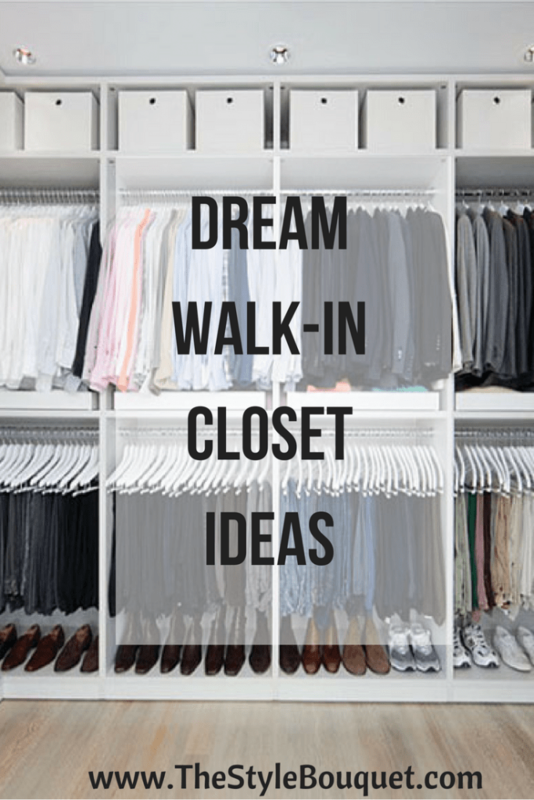 My husband and I keep our wardrobe to a very minimal size, but a walk in closet would still be so nice for us to have everything neatly organized and easily accessible! The straight closet is my favorite! I love the ones with the vanity what a perfect idea!! A walk in closet like this sure is a dream!! Ah! I would LOVE to have a walk in closet like that. I thought mine was spacious but those are beautiful. I am absolutely dying to have a big white walk-in closet. We are building a home next spring. I told my husband this is my only request! I have always wanted a walk in closet!Growing up, I had to share a regular closet with my three sisters. Hopefully one day I can get the closet of my dreams! These walk in closets are about the size of my bedroom. lol I eventually would love to have a walk-in closet. Having a sitting area would be a must with a full length mirror. Wow, closet goals! 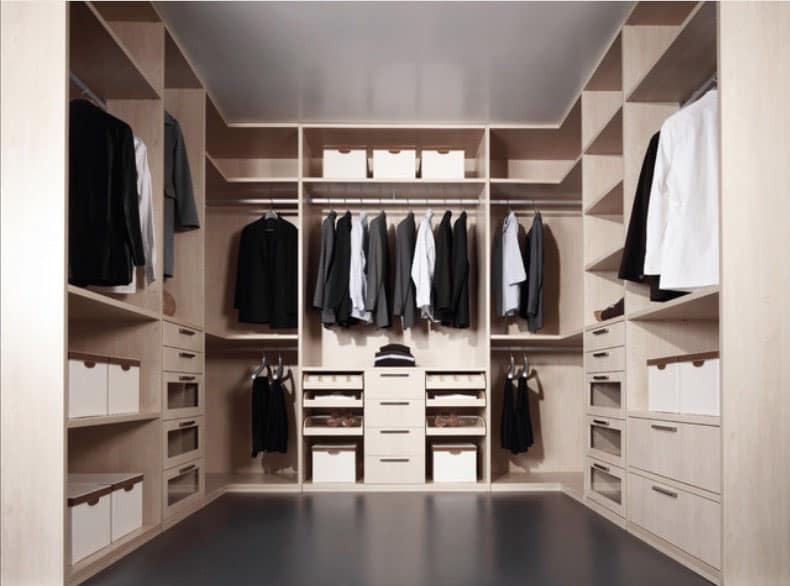 My dream house definitely includes a walk in closet with ample space for shoes and handbags. Until then, I have a tiny corner nook in my 1 bedroom apartment that is getting the job done. All of these closets are seriously a dream. I am definitely going to make sure I have a big one when we build our house this summer. I absolutely love the 2nd walk-in closet you showed. Ugggh, a girl can dream, right?! All of these closets are absolutely beautiful! I love the one with the mirrors and would love to have an island in my dream closet!